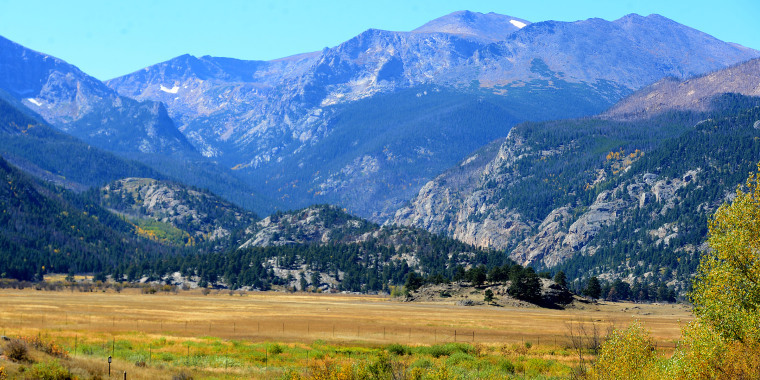 Estes Park is the gateway to Rocky Mountain National Park, one of Colorado's most spectacular destinations. (And that’s saying a lot, given how much gorgeous scenery is packed into the state.) The Continental Divide passes through the park, which is home to varied landscapes that encompass aspen forests, alpine lakes and tundra. Fall is elk-mating season and they’re easy to spot and hear throughout the area, thanks to the bulls' impressively loud bugling. Want to scale a mountain without leaving your car? The Trail Ridge Road is open May through October and rises 11 miles above the treeline. Views include canyons, valleys and the Continental Divide itself. (To mix up the views, some adventurous drivers ascend via one-way Old Fall River Road, one of the park’s original byways, and take Trail Ridge back down.) Bear Lake is perfect for young ones who might not have the stamina for a long hike — the trail around the water is short and level, and you may spot elk, moose and bighorn sheep, depending on the season. Although the movie was filmed elsewhere, the stately, full-service Stanley Hotel was the place that inspired Stephen King to write "The Shining" after a visit in 1973. The main building has traditional hotel rooms, including some that the staff say are known for “high paranormal activity,” like the one where King stayed. Families may prefer the hotel's newer Aspire Lodge, with its apartment-like suites and 360-degree Rocky Mountain views. Glacier Lodge makes log-cabin dreams come true: There are 30 of them tucked under majestic pine trees on the banks of the Colorado River. The hotel is known for its horseback riding activities, which include pony and trail rides, as well as the chance to play cowboy for a day and learn how to wrangle. Freshly baked pies, flatbreads and sandwiches can be eaten right on the banks of the Colorado at Poppy’s Pizza & Grill, where the menu also includes decadent appetizers like fries topped with pork green chile and beer cheese dip. Talk about tradition: The staff at the family-run Taffy Shop has been using the same machine to wrap their sweets since 1947. Call before you go to hear the day's cooking schedule, which will give you the best chance of seeing the taffy being pulled and wrapped, and maybe even getting to taste a warm sample.